Here is yet another Life IV homework piece. The assignment: create a costumed figure. 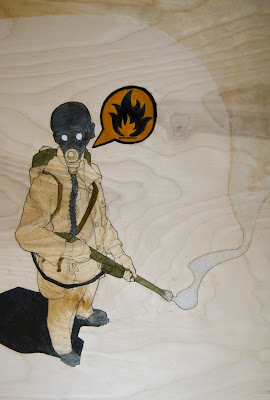 The Result: I wanted to try working on exposed wood panel, working ink, oil glazes and varnish over it. I think it had an interesting effect. You really need to see it in person to get the effect of the shiny, shiny varnish.